No matter how involved you may become in the political process, every citizen – in the serious sense of that word – should know how to lobby their government. (Don’t forget that it IS a Constitutional right, after all) And that means grassroots lobbying! Knowing how to effectively lobby – and actually doing so – is what gives conservatives a voice in the development of public policy. It’s not enough to show up at the ballot box every few years and elect some people to office. You’ve got to keep an eye on them once they get in, (even the one’s you may be friends with). Then let them hear from you when necessary. That’s the essence of grassroots lobbying. But how can you be more effective in the process? There are some fundamentals when it comes to being effective in politics, and one of them is to multiply and organize your efforts. Effective grassroots lobbying is a team effort. In any team sport, the players are supposed to work according to their individual responsibilities for the overall benefit of the team. 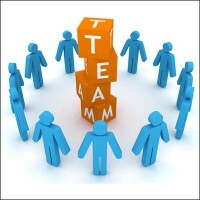 The better they work together, the more likely they are to reach their goal – winning. You have to know the rules, the positions, and the key players. At the same time, a winning team needs to be strategic in its overall game plan and consider the strengths and weaknesses of the opposition as well as their own. Whether in grassroots lobbying or actual campaign politics, “the game” is pretty much the same. You don’t have to pay too much attention to the way things are going to know that it’s more important than ever before that conservatives build winning “teams” of players at the local level to offer support to public officials in advancing public policy, or to bring heat when it’s necessary. All the more reason for you to either join a local grassroots lobbying team or start one of your own. Instead of complaining, make a point to reach out to some people who think like you do today and get started. What’s stopping you? 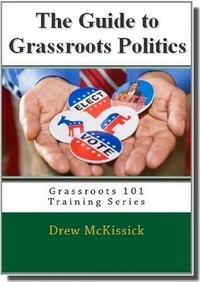 Any experiences about grassroots lobbying you’d like to relate? Sound off in the comments below. Get more tips like these in my Grassroots 101 Training Series. Check it out!